Denny Jump (Bellevue, WA, United States) on 17 July 2014 in Transportation. 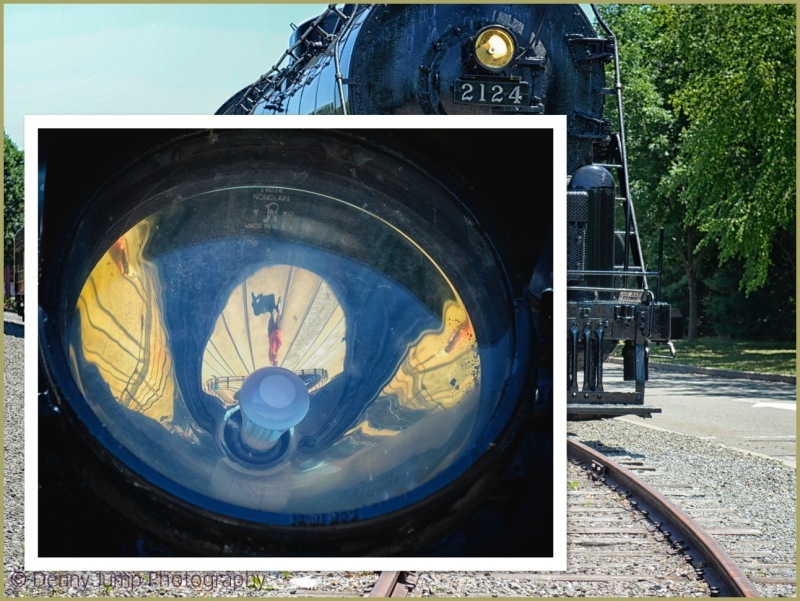 A shot of the good looking guy we all call Denny, reflected in the headlamp of this locomotive. ''There's three Denny's in there....can you see them? Just when we come to terms with one Denny, two more turn up ! You can never have enough Dennys. i think i see them all :-) interesting and clever capture! I can see the 3. :-) Nice self portaits, well presented. Denny's version of a "selfie"...Tell your kids and grandkid you ARE hip !